If you pause occasionally as you read this, you can probably hear my friend Brian Newby – election geek and Post Office skeptic – SCREAMING. A number of items returned included voter registration cards and that’s now caused concern for Dallas County elections officials. A single voter’s complaint led the Dallas County Elections Department to investigate and discover the post office delivery issue. On Tuesday Dallas County Commissioners heard from elections administrator Toni Pippins-Poole. She told city leaders that a City Carrier Assistant working in Irving had been cutting his route short and stamping undelivered mail [all mail, not just election mail – ed.] 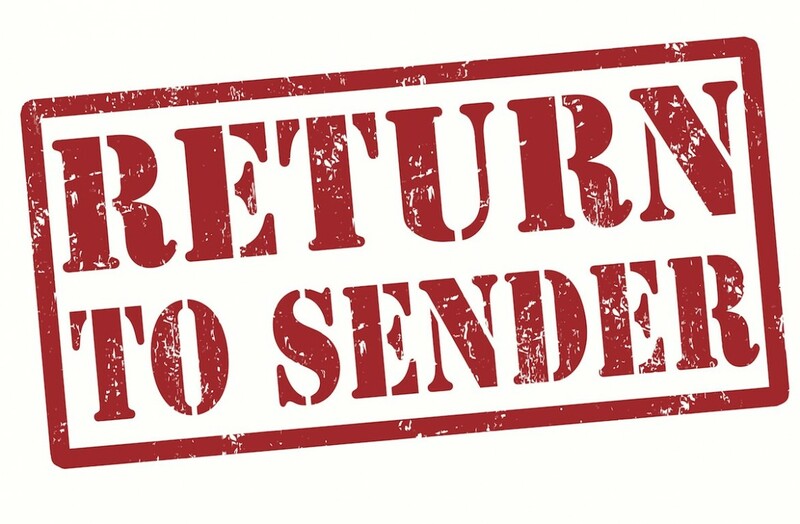 return to sender. North Texan Robbi Hamida said he first noticed problems with his mail in December, but assumed the winter storm was to blame. “It was kind of shocking to find out the post office was sending everything back,” he said. The missing mail also began to create financial issues for Hamida. He said a credit card charged him a $39 late fee, for failing to pay a bill he never received. Another card, he says, closed his account altogether. “The credit cards, the billing, family letters – it basically made me look really bad,” he said. When Hamida went to vote he discovered his voter registration had been suspended after the post office returned his voter registration card, indicating he no longer lived in his home. Out of more than one million voter registration cards mailed the department has had more than 90,000 returned this year. Workers are now trying to determine how many cards were returned from the route of the one mail carrier. Dallas County officials said the affected voters will still be able to vote, they will be required to sign an affidavit at the polls confirming they still live at their listed address. This appears to be just an isolated problem involving a handful of bad and/or inattentive employees – but it highlights how much the election system depends on a reliable postal system to function properly, and the consequences when the USPS doesn’t hold up its end of the bargain. I’m guessing that Brian Newby isn’t the only election official who’s going to clip this article and discuss with the local post office – a loss of trust like this is huge and the last thing election officials or voters need as we enter another high-stakes national election year. Previous: Iowa Fraud Probe Ends: Another Learning Opportunity? Be the first to comment on "Your “Um … Wow” of the Day: Dallas Voters Put on Inactive List Because Postal Employee Didn’t Feel Like Delivering Mail"